Good evening. I'll write this article in Japanese and English today. Today, a gift from my Russian friend was arrived to me! 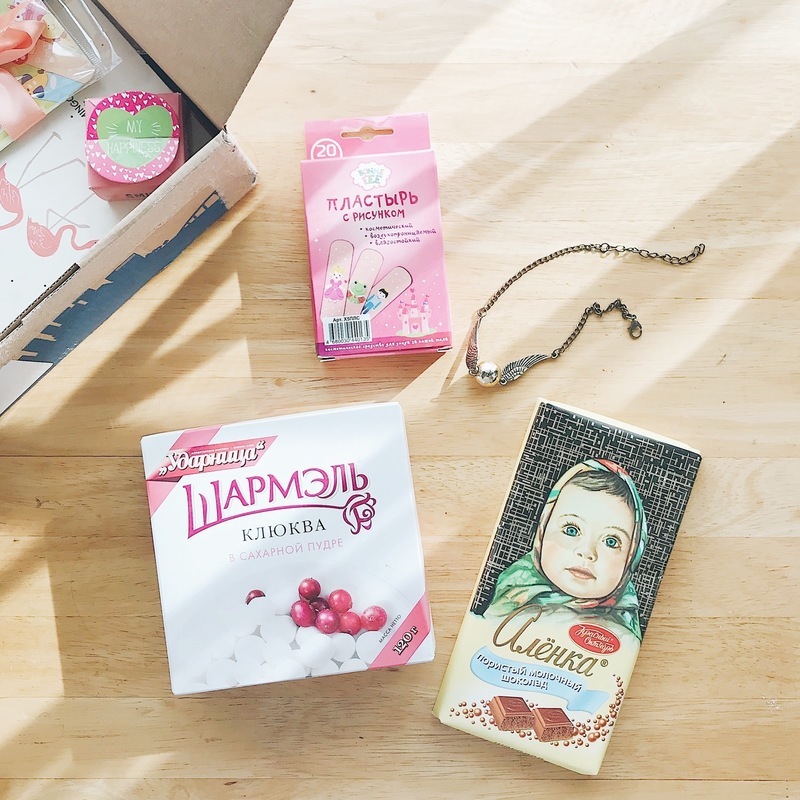 There are various things inside this box, for example, some Russian sweet snacks and cute stickers. Everything was fantastic but her letter was the most wonderful content for me. I had never imagined that I get a Russian friend until I got a friendship with her, however, I noticed that making friend don't connect with nationality. I'm so lucky for having a lot of kind friends! Then, bye. Have a sweet dream.